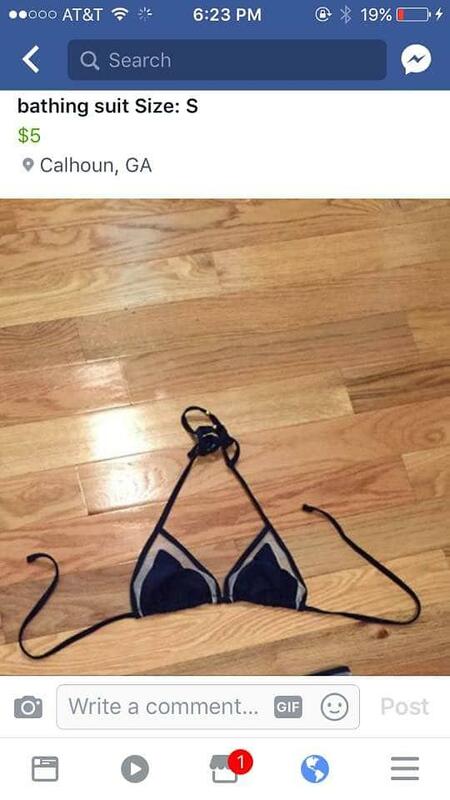 People have been slowly exploring the Facebook market. One downside is that just like public Facebook postings, you get exposed to unwanted comments. Tess Wright has the firsthand experience. 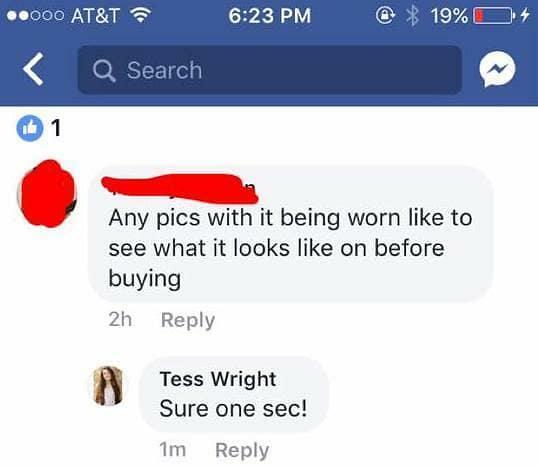 She tried to sell her bathing suit on the Facebook market for $5, very reasonable price, Then a creepy troll commented on her post and asked her if he can see a picture of it being worn before buying. In this case, many choose to ignore. Wright's brother Kade though saved the day for his sister. 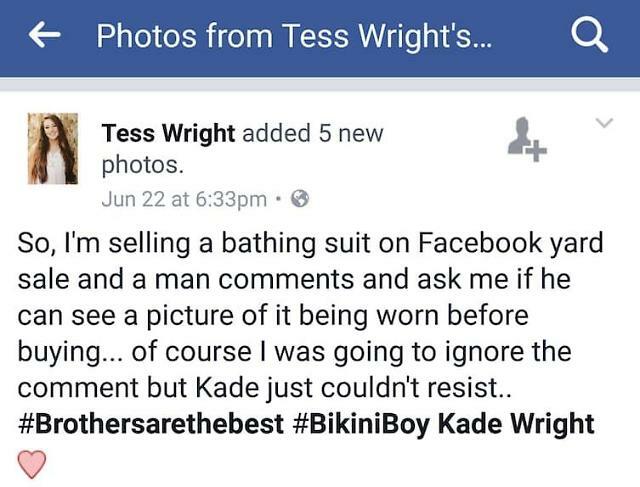 Kade wore the bikini for the creep who asked for a picture of his sister with the bathing suit on. Wright sent it to the creep who asked for it. Wright couldn't resist posting this on Facebook to share how her amazing brother saved the experience and the post is garnering so many likes and reactions.